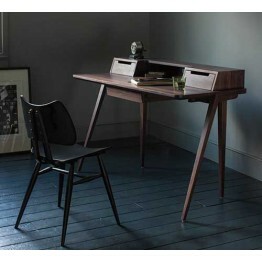 The Ercol Furniture Treviso desk. A wonderful contemporary piece of functional furniture for the home, the office or the home office ! Made in either clear matt or walnut shades it's a piece of furniture that wows everyone as it carries a heritage of design and quality which oozes through. Free delivery across mainland England and Wales as usual with all our ranges on this website. 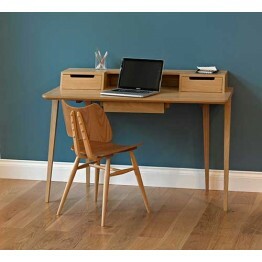 This is the Ercol Treviso 2334 Oak desk in a clear matt finish. A wonderful contemporary looking pie.. This is the Ercol Treviso 2335 Walnut fiinish. A wonderful contemporary looking piece of furniture t..